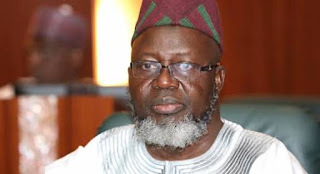 The All Progressives Congress (APC) has disqualified Adebayo Shittu, minister of communications from the governorship race over his failure to partake in the one-year mandatory National Youth Service Corps (NYSC) scheme. Shittu had said his first political post after graduation could suffice as national service, a claim TheCable fact checked and found incorrect. He was elected member of the Oyo state house of assembly after graduating from OAU. In a report, the governorship aspirants screening committee of the ruling party said Shittu could not be considered to stand in the election. Aisha AlHassan, Shittu’s women affairs counterpart, was also disqualified from the race. No reason was given for her disqualification. Earlier, Shittu had told journalists at the national secretariat of the APC in Abuja that he was against the indirect primary election adopted for the state. “I, Adebayo Shittu, the leading governorship aspirant of the APC in Oyo State, rejects the recommendation of the NWC for indirect primary in the state,” he had said. He added that issues surrounding the emergence of the leadership of the state chapter of the party were still being contested at the courts. Shittu said part of the reasons he rejected the adoption of indirect primaries in the state was because those to serve as delegates, constituted the bulk of those handpicked for the party’s state congresses, which are being contested in court. Shittu said if the party members were the true owners of the party, they should be allowed to take its ownership, particularly with regard to selecting a candidate of their choice.